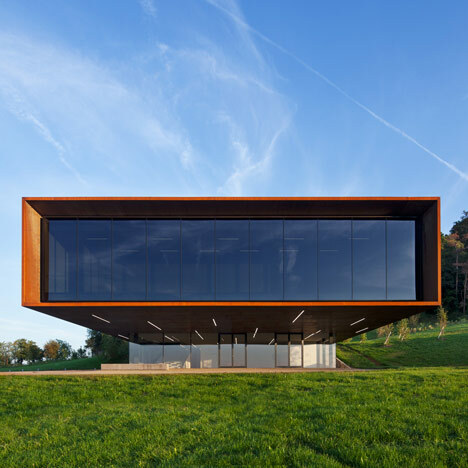 Gerrman architects Kada Wittfeld Architektur have completed this metal-bodied museum in Glauburg, Germany, that cantilevers out towards a historic Celtic burial mound. 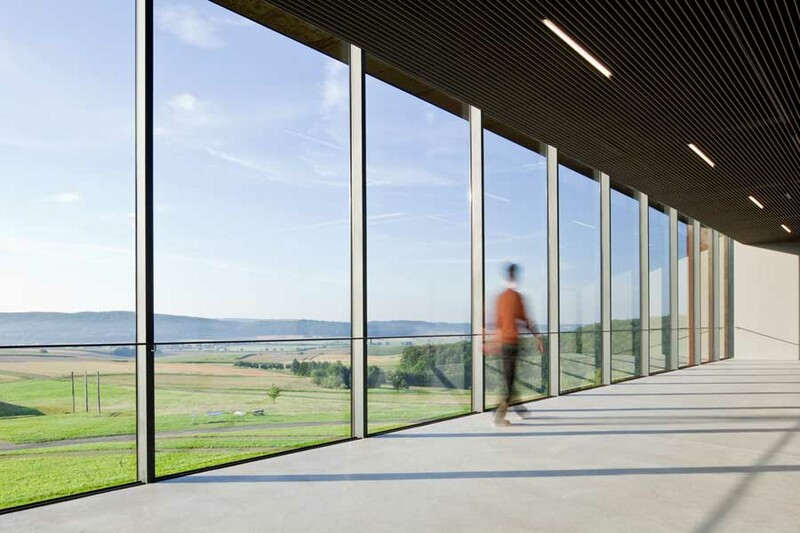 A large panoramic window to the end of this cantilever creates a viewpoint for visitors, facing the archeological site. 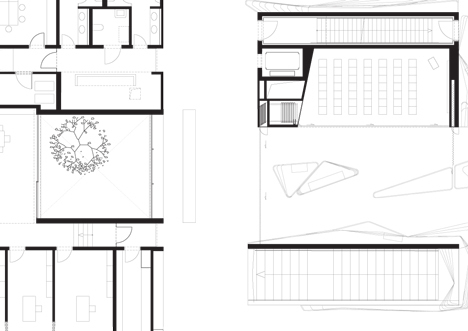 Visitors can also access the roof, where an additional viewing platform is located. Internally a broad flight of steps leads from the entrance to the exhibition rooms. Photography is by Werner Huthmacher. 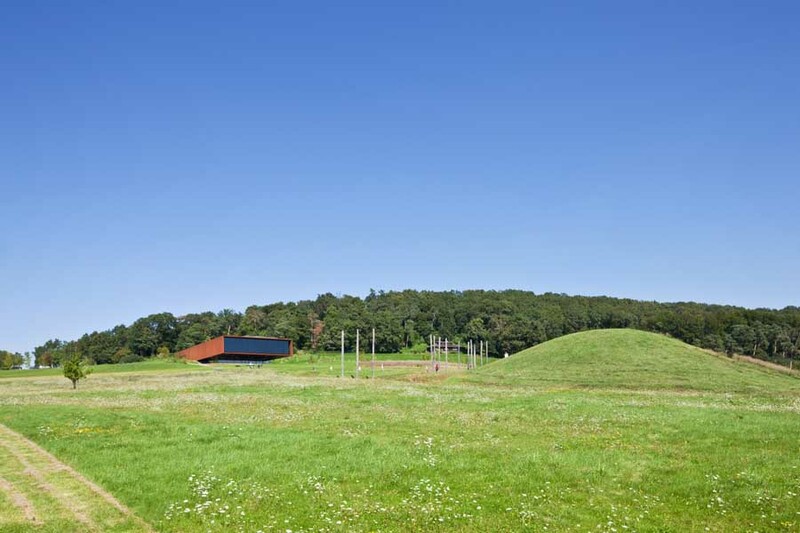 Brief- A museum for Celtic art, in direct proximity to a historic burial mound. 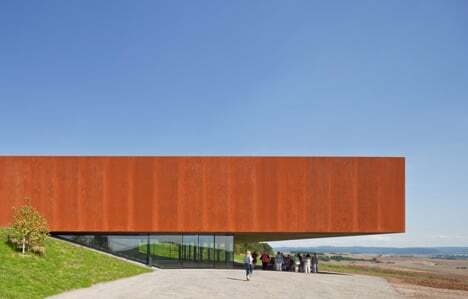 Similar to an excavated archaeological find, the metal body of the museum juts out from the landscape and forms a counterpart to the burial mound. 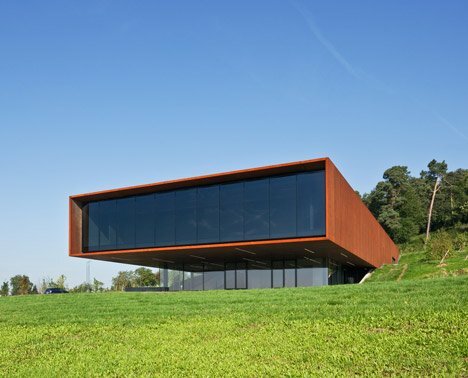 More of a mysterious object itself rather than architecture, the museum should be stumbled upon by its visitors as a marker of landscape discovery. Because of its strategic position and sweeping view, the plateau at the edge of Wetterau was a favourite settlement area from the 5th millennium BC until the High Middle Ages. The remains of the settlements can still be seen in the park and make the Glauberg – with the help of the myths and legends about the inhabitants of the Glauberg – a very special place, not only for researchers. In the 1930s, excavations were already being conducted, but had to be suspended with the turmoil of the war. But what the archaeologists discovered from the geomagnetic aerial photos and brought to light between 1994 and 2000 was beyond their wildest dreams. The sensational discovery of the Celtic princely tombs with substantial, fully preserved burial objects, the cult area and its settlement makes it one of the most important Celtic archaeological and research sites in Europe today. The cult surrounding the ca. 20 ha large archaeological area with the reconstructed burial mound and sections of the processional routes is immediately noticeable. The gentle topography stretches impressively up to the horizon. 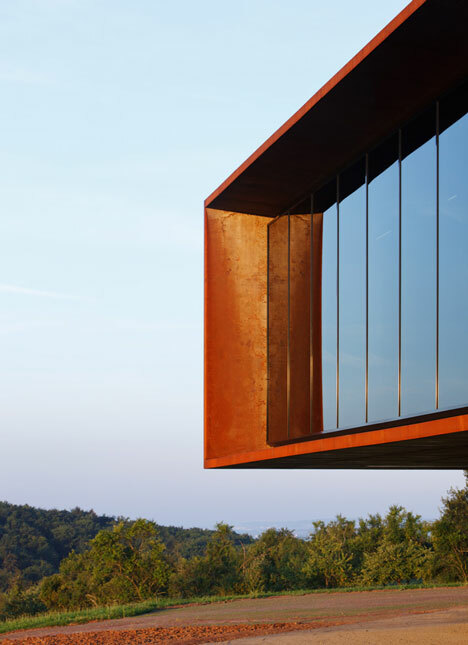 Out of respect for the distinctive location, the architecture avoids great gestures and withdraws in favour of the historically formed landscape. 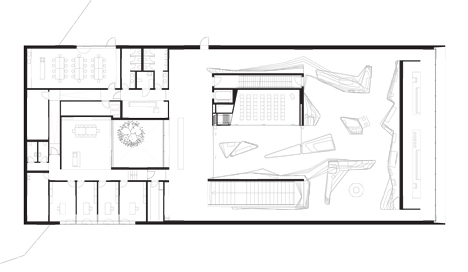 The Celtic museum merges into the spacious landscape as a clearly contoured and distinct structure. 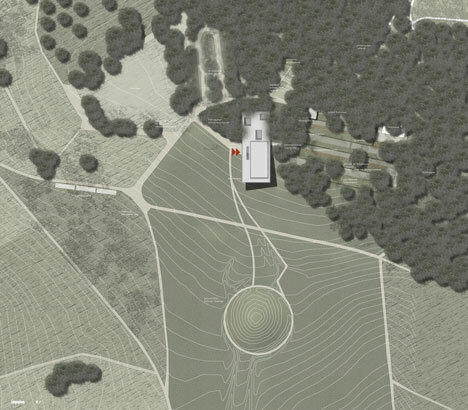 Half concealed in the slope, it is oriented to the Celtic mound, thus consciously allowing it to be the principal player, whose central function as a landscape element is supported by the museum as a “perception intensifier”. 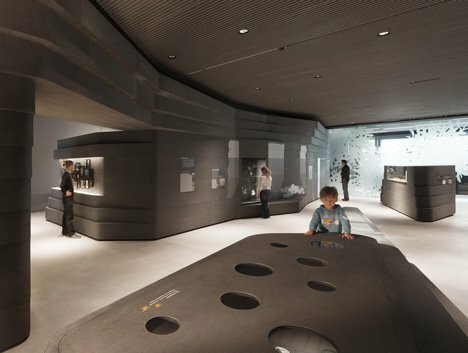 The protected space under the mighty overhang serves as the start and end point of the tour on the archaeological trail and for the exploration of the museum. 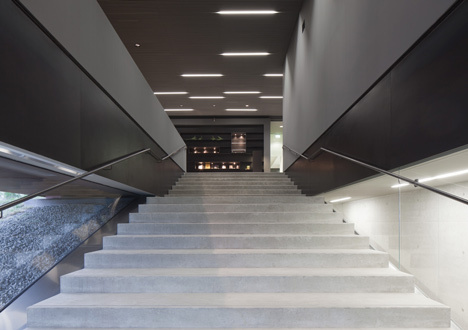 A broad flight of steps in the building welcomes visitors and guides them gradually to the exhibition. 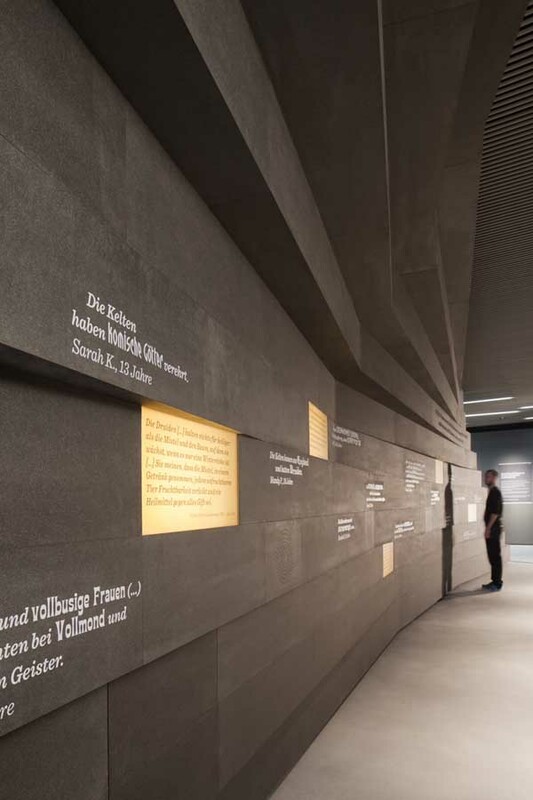 The closed volume provides an exhibition situation that does justice to the light-sensitive exhibits and allows visitors to completely immerse themselves in the Celtic world. 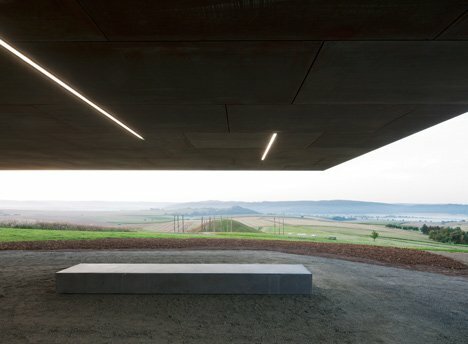 One of the highlights of the exhibition is the large panorama window, which offers an impressive view of the burial mound, thus incorporating it into the exhibition itself. 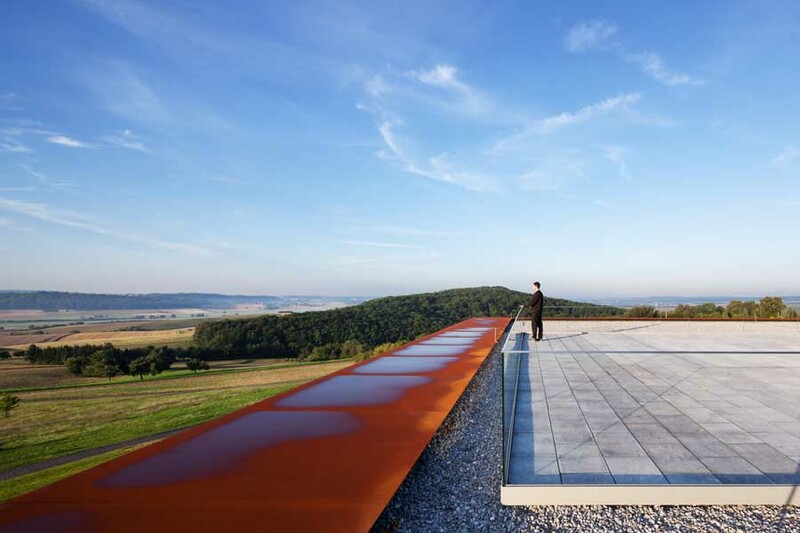 The roof as a viewing platform offers a panoramic view of the landscape and reveals the sky. 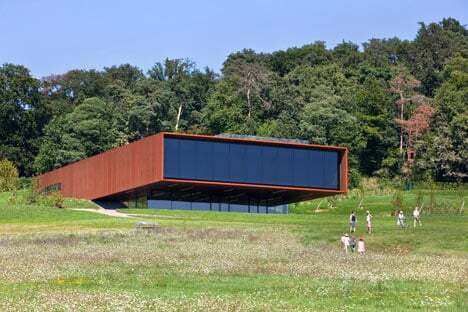 The Celtic Museum is a clearly contoured and distinct volume, blending in with the surrounding landscape. Partly inserted into the slope, it projects itself towards the burial mound. 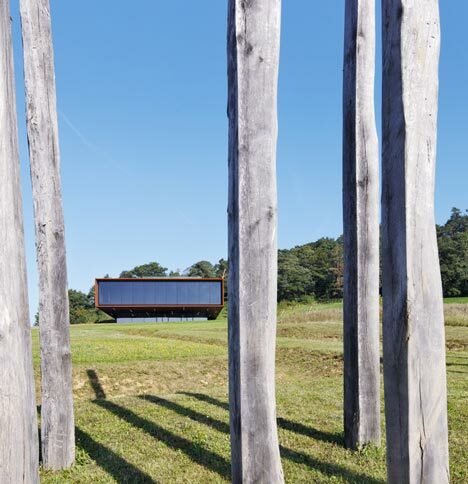 Its vital function as an element of the landscape, the museum building amplifies the burial mound’s leading role. 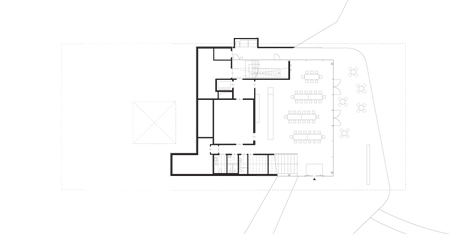 Underneath the main volume, one finds the foyer and the café and adjoining rooms as well. Here begins and ends the exploration of the museum’s archaeological trail. 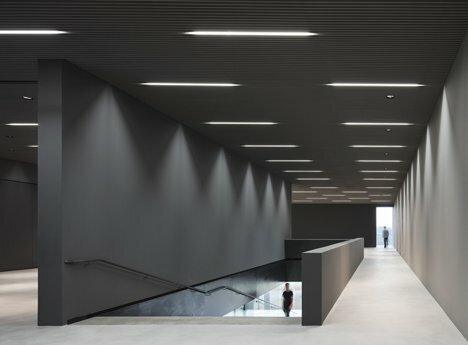 A staircase-ramp guides the visitor into the exhibition.